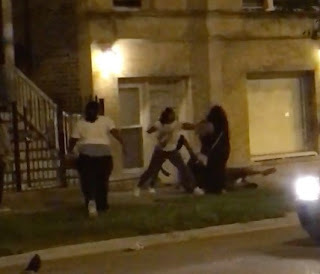 Video sent to CWB Chicago anonymously appears to show a street brawl and shooting attempt unfolding on the streets of Wrigleyville early Sunday. We reported exclusively on the incident hours later. The whole thing played out around 3 AM, at 1143 West Addison — less than a block from Wrigley Field. 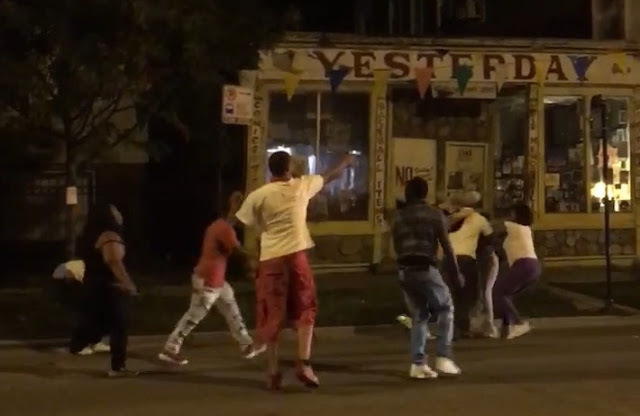 In the video, a man dressed in a white tee shirt and long red shorts reaches into his waistband and pulls out what appears to be a small gun at the 16-second mark. He places an object behind his back, and he then points the apparent handgun at a group of men and women who are brawling nearby. 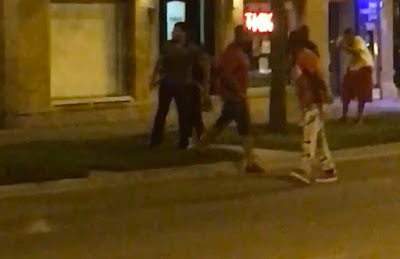 The man in red shorts then charges at another man, tackles him, and holds him to the ground while others beat and kick the apparent victim. Throughout the battery, two people near the camera are heard yelling "black lives matter" commentary as well as "Stop kicking! No! No! No! Stop!" Finally, just over a minute into the video, a series of shots rings out before the video abruptly ends as the cameraman and his companion take cover. Debris flies up from Addison Street (lower left) after the first shot is heard. The first bullet appears to strike in the middle of Addison Street. Debris from the impact is seen flying up from the roadway. No one is in custody for the incident. 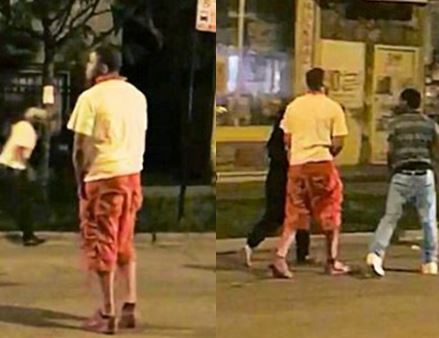 As we reported on Sunday, witnesses to the shooting described the offender as a 25-year-old black man with short hair who was wearing a white shirt and long red shorts. He was last seen running southbound on Racine from Addison.